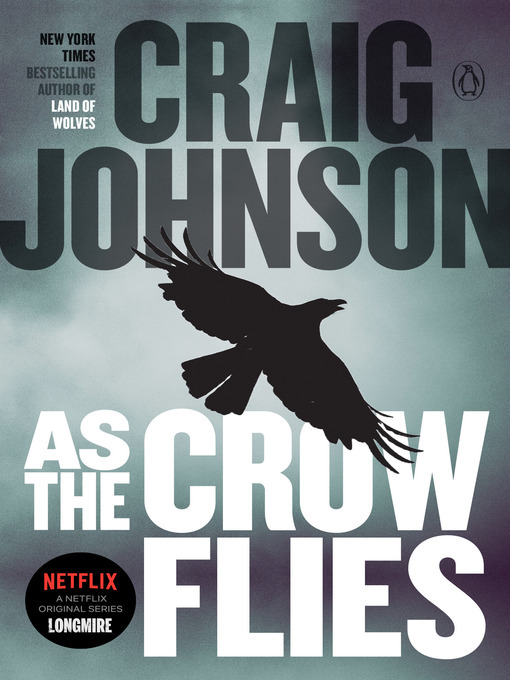 As the crow flies [electronic resource] / Craig Johnson. Material type: BookSeries: Johnson, Craig, Walt Longmire mystery: Publisher: New York : Viking, 2012Description: 1 online resource.ISBN: 9781101583555 (electronic bk. ); 110158355X (electronic bk. ).Subject(s): Longmire, Walt (Fictitious character) -- Fiction | Sheriffs -- Fiction | Homicide investigation -- Fiction | Indians of North America -- Fiction | Indian reservations -- Fiction | Northern Cheyenne Indian Reservation (Mont.) -- Fiction | Montana -- Fiction | Homicide investigation | Indian reservations | Indians of North America | Longmire, Walt (Fictitious character) | Sheriffs | Montana | Montana -- Northern Cheyenne Indian ReservationGenre/Form: Mystery fiction. | Electronic books. | Fiction.Additional physical formats: Print version:: As the crow fliesDDC classification: 813/.6 Online resources: Click here to access title or place hold | Image Summary: When the site of his daughter's upcoming wedding burns down, Wyoming Sheriff Walt Longmire and his friend, Henry Standing Bear, witness the falling death of a young Crow woman and are recruited into an investigation that incites the wrath of the bride-to-be. When the site of his daughter's upcoming wedding burns down, Wyoming Sheriff Walt Longmire and his friend, Henry Standing Bear, witness the falling death of a young Crow woman and are recruited into an investigation that incites the wrath of the bride-to-be.